The pedal recreates the sound of Roland's classic Juno synths. 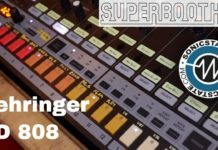 TC Electronic have announced at Superbooth 2018 their new June-60 chorus pedal, a stereo version of Juno Synthesizer Chorus, which recreates the sound of Roland’s classic Juno synths. 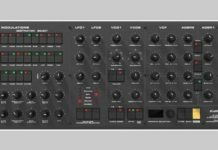 The Danish audio equipment company’s new pedal was previously presented as a mono version, while the final release is stereo, enabling users to run DAW tracks and stereo synths through the unit for the authentic ’80s chorus vibe from the Juno range. 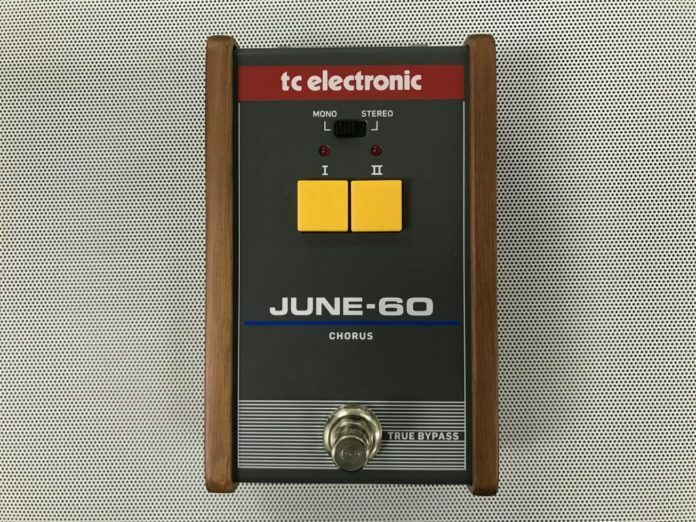 The June-60 features an on/off switch, it’s fully analog and a complete copy of the original circuit, using BBD chips and the same design as the original hardware, and it costs $99. Check out the video below for more technical info!